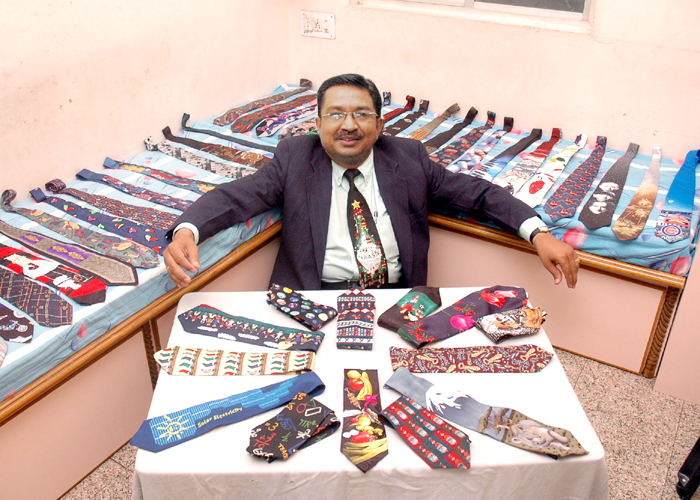 Dr. Deepak Sharma (born on June 2, 1967) from Gujarat (India), has the largest collection (3,510) of different ties on 2,200 different themes from more than 40 countries and 140 companies across the world, as on September 17, 2013. 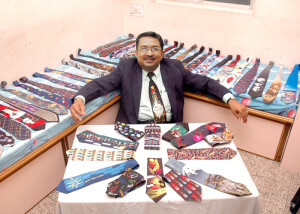 He started collecting this since December 1988. Comments for LARGEST COLLECTION OF NECKTIES are now closed.